Afghan President Hamid Karzai was set Saturday to become the first foreign leader to meet Britain's new prime minister, flying to London after winding up an important fence-mending visit to Washington. Afghan President Hamid Karzai was set Saturday to become the first foreign leader to meet Britain's new prime minister, flying to London after ending a four-day state visit to Washington, his office said. "The president of the Islamic government of Afghanistan arrived in London Saturday morning at the end of his official visit to the United States and is due to meet David Cameron and congratulate him on his election as the prime minister of Britain," the statement from Karzai's office said. The visit comes just days after Cameron formed a new government and put Afghanistan at the top of Britain's foreign policy agenda. Karzai and Cameron would "hold talks... on expanding and strengthening bilateral relations between the two countries," the statement said. A spokesman for the British embassy in Kabul said the two leaders would meet at 1130 GMT at Chequers, the prime minister's official country residence. Karzai "will be the first foreign leader to meet Cameron since the new government took office," the spokesman confirmed. Cameron renewed Britain's support for the US strategy in Afghanistan, in a telephone conversation with US President Barack Obama almost immediately after he entered Downing Street for the first time on Tuesday. At a joint press conference with Karzai at the White House, Obama said he and Cameron had confirmed "the extraordinary special relationship between the United States and Great Britain." Cameron had also "reaffirmed, without me bringing it up, his commitment to our strategy in Afghanistan," Obama said. "I am confident that the new government is going to recognise that it is in the interest of all the coalition partners to help President Karzai succeed and to build a more prosperous and secure and stable Afghanistan." Around 9,000 British troops are fighting alongside US and NATO forces against a Taliban insurgency in Afghanistan. The allies have 130,000 troops in the country, with their numbers set to peak by August at 150,000 as part of a US-led strategy to speed an end to the war, press Afghanistan to take over security, and begin a drawdown of foreign troops. Most of the fresh deployments are headed to the southern insurgency hotspot of Kandahar, capital of the Taliban's 1996-2001 regime until it was overthrown. Residents of Kandahar, capital of the eponymous province, said a veil of terror has been drawn over the city as the insurgents become increasingly proactive in the face of the foreign troop build-up. NATO commanders view Kandahar as a make-or-break battleground in the war. The Taliban-led militants are supplementing their usual tactics of suicide bombs attacks and crude, remote-controlled bombs "with almost daily assassinations," a foreign resident of the city said on condition of anonymity. Karzai, who hails from Kandahar, wrapped up his four-day visit to Washington -- carefully orchestrated to play down tensions in US-Afghan ties -- with a trip to Kentucky to meet US soldiers about to deploy. The Washington trip was aimed at putting the relationship back on even ground after a series of outbursts and gaffes in recent months that threatened to undermine bilateral ties. 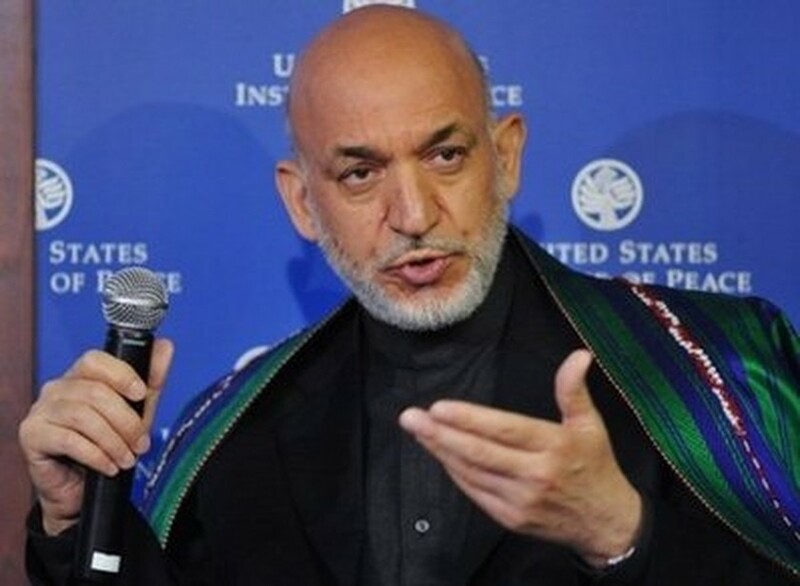 Karzai is aware public support for the war in both the US and Britain is waning amid pressure for his government to show progress in cleaning up corruption and taking on security responsibilities. The new British government quickly asserted its support for the US strategy, with new Foreign Secretary William Hague saying Afghanistan would be his top priority. "It is our most urgent priority here in my work to make sure we have a grip on what is going on in Afghanistan," Hague told commercial television. "And I know that will consume a lot of our time and energy and effort. We have been fighting some political battles here but they are in a real battle out there." One of Cameron's first tasks was to set up a US-style National Security Council to coordinate the foreign, defence, interior, energy and international development departments. "The council will discuss the situation in Afghanistan and Pakistan, and review the terrorist threat to the UK," the prime minister's office said. Britain has around 10,000 troops in Afghanistan as part of an international force, largely fighting the Taliban in the southern province of Helmand. It has lost 285 personnel since operations began in 2001.